Several projects and updates were announced for Walt Disney World Resort including a new line-up of attractions at Magic Kingdom Park, Epcot and Disney’s Hollywood Studios, new resort hotel experiences and concepts, and two new transportation options. Mickey and Minnie’s Runaway Railway – In this game-changing attraction, Mickey and Minnie’s Runaway Railway will feature an original story that will take guests on a journey inside the world of Disney Channel’s Emmy Award-winning “Mickey Mouse” cartoon shorts using new technologies that turn the flat cartoon world into an incredible dimensional display. Located inside the Chinese Theatre, this new attraction will replace The Great Movie Ride, which will close Aug. 13, 2017. Opening for Mickey and Minnie’s Runaway Railway will be announced at a later date. Toy Story Land – Toy Story Land at Disney’s Hollywood Studios is scheduled to open summer 2018. In preparation for the park’s 35th anniversary, Epcot will continue to evolve to make it more timeless, more relevant, more family and more Disney, while staying true to its original vision beginning with several newly revealed offerings. “Guardians of the Galaxy” – Epcot will have a brand new E-ticket attraction within Future World based on the rockin’ and action-packed world of Guardians of the Galaxy. 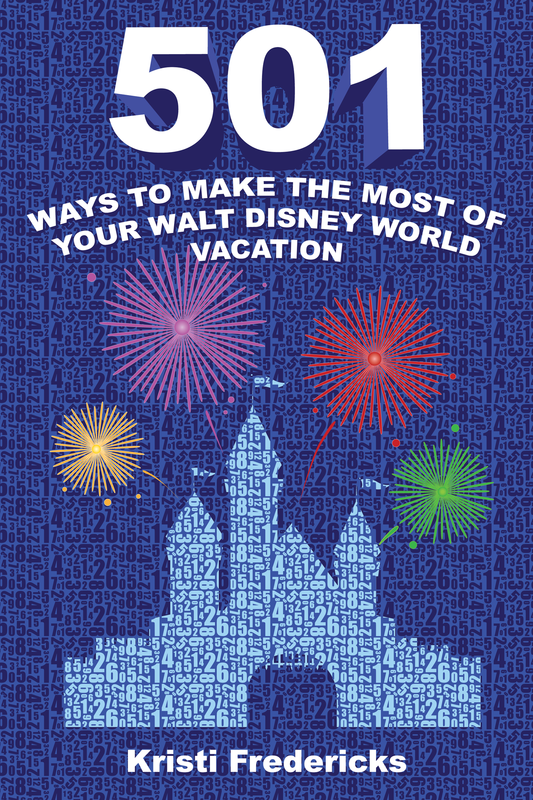 This is the next step in how guests can encounter these characters at Walt Disney World Resort. To make way for this new adventure, Ellen’s Energy Adventure inside Universe of Energy will close Aug. 13, 2017. The new attraction will open by the 50th anniversary of Walt Disney World Resort in 2021. “Ratatouille” – Within World Showcase, in an all-new space in the France pavilion, a new “Ratatouille”-inspired attraction will take guests on a dazzling chase across a kitchen with the sights, sounds and smells of Gusteau’s Parisian restaurant. 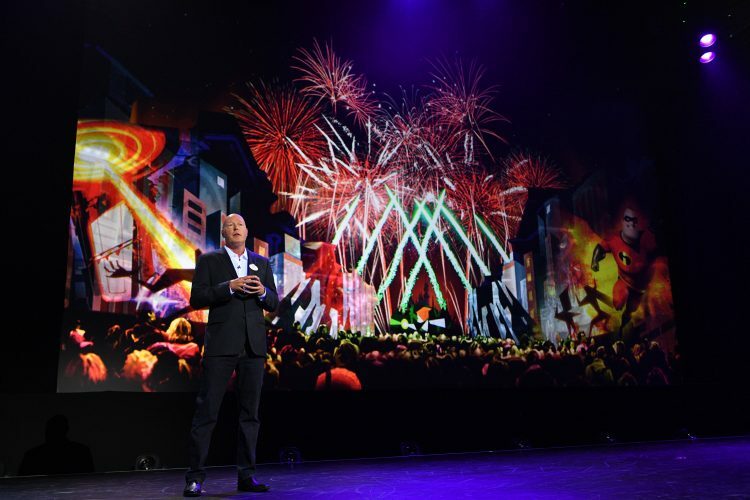 Patterned after the number one family attraction at Disneyland Paris, the new attraction will open by the 50th anniversary of Walt Disney World Resort in 2021. Mission: SPACE – In addition to an updated Orange Mission, a brand new Green Mission will take guests on a stunning tour around the Earth, with younger cadets joining the adventure for the very first time. Mission: SPACE will reopen this August. New restaurant – Adjacent to Mission: SPACE, a new table-service restaurant will invite guests to travel high above the Earth for an unforgettable dining experience. The new restaurant will be managed by Patina Restaurant Group and an opening will be announced at a later date. “Tron”-themed attraction – The highest rated attraction at Shanghai Disneyland is coming to Tomorrowland in a new area near Space Mountain. Opening will be announced at a later date. Live entertainment theater – Based on the iconic Willis Theater in the 1920s Kansas City where Walt lived after he left Marceline, this new addition to Magic Kingdom Park will be located off of Main Street U.S.A. and will be an entirely new venue for world class entertainment. Opening will be announced at a later date. 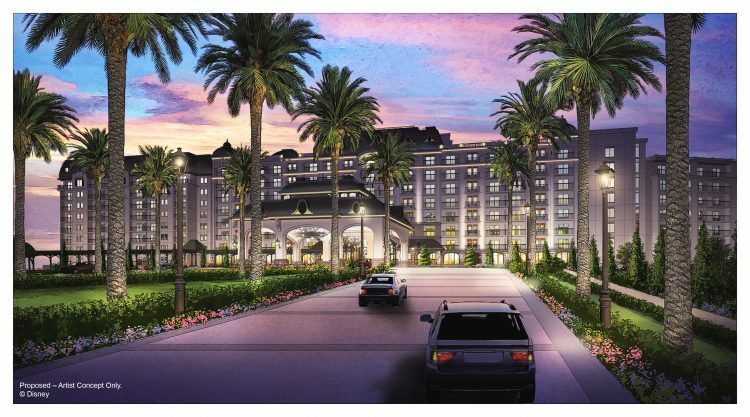 Disney Riviera Resort – The proposed 15th Disney Vacation Club property will be located near Epcot with a rooftop restaurant that has unbelievable views of nighttime spectaculars at Epcot and Disney’s Hollywood Studios. Opening will be announced at a later date. Immersive Star Wars-themed hotel – An immersive Star Wars-themed hotel will be the most experiential concept ever. 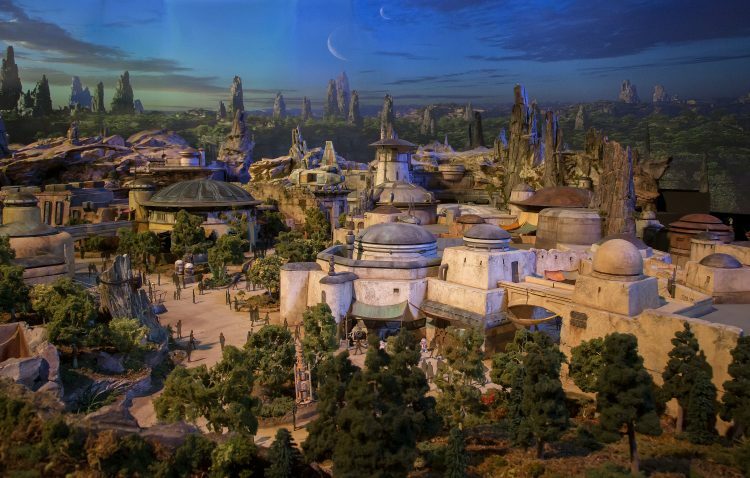 Dedicated entirely to the galaxy of Star Wars, guests will have a one-of-a-kind experience where a luxury resort meets a multi-day adventure in a galaxy far, far away. Opening will be announced at a later date. 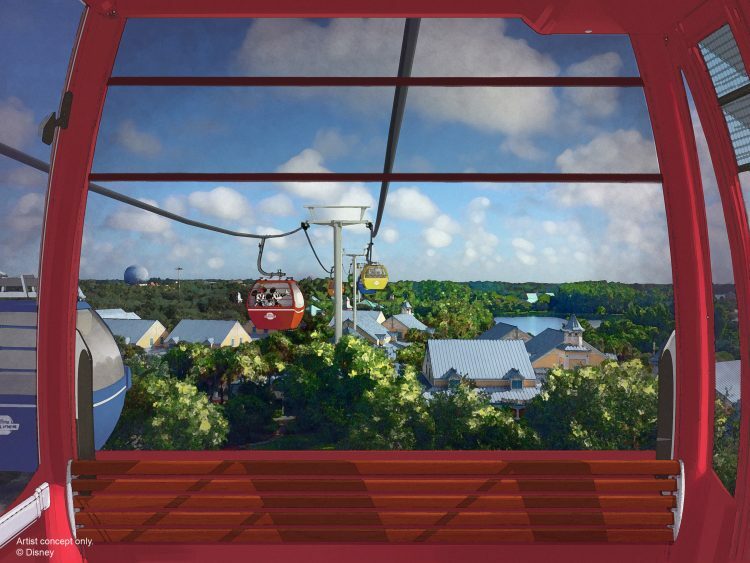 Disney Skyliner – This new transportation system will give guests a bird’s-eye view of Walt Disney World Resort. Disney Skyliner will connect Epcot and Disney’s Hollywood Studios to four resorts – Disney’s Art of Animation Resort, Disney’s Pop Century Resort and Disney’s Caribbean Beach Resort, as well as the proposed 15th Disney Vacation Club property, Disney Riviera Resort. Opening date for Disney Skyliner will be announced at a later time. Minnie Van service – Starting later this month, the Minnie Van service is a whimsical, point-to-point transportation service that will help guests get around Walt Disney World Resort in a jiffy. Guests can arrange their own private Disney vehicle right from their smartphone, and a Disney Cast Member will drive them wherever they want to go around Walt Disney World. Which announcement are you most excited about?